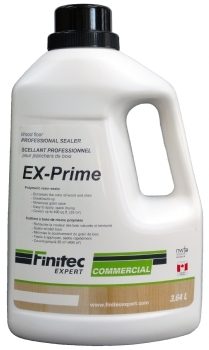 EX-Prime sealer is compatible with all Finitec Expert finishes. It seals the wood and enhances the natural wood color. EX-Prime is easy to apply and dries quickly. Coverage 400 sq.ft. 2000 sq.ft.